This Saturday in Armagh, North Belfast club, Naomh Éanna will take to the field against Cavan’s Mullahoran for the right to call themselves Ulster champions. However, it is difficult to talk about the success of this Naomh Éanna side without reflecting on the history of the club which is situated in Glengormley, a once predominantly Unionist area of Northern Ireland. “In Glengormley, one mile down the Hightown Road is the ‘Orange Arch’, so it’s definitely predominantly a Unionist area,” Midfielder, Philly Curran said. 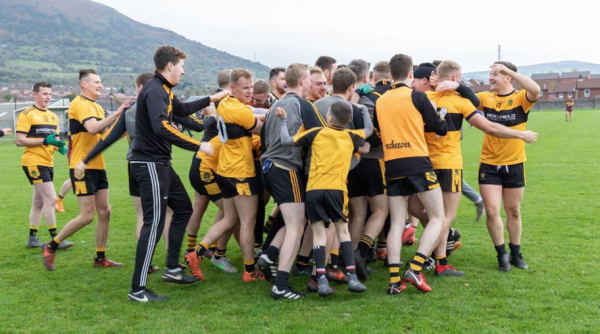 Very few sporting outfits will have experienced the heartbreak that Naomh Éanna have had to endure throughout their 62-year history. The club was attacked on numerous occasions throughout ‘The Troubles’. They have had team buses set on fire, and their club premises have been destroyed on multiple occasions. On top of all that, they had five members brutally murdered during the conflict in the North. 1981 – Liam Canning, 19, shot dead by off-duty UDR member. 1991 – Colin Lundy, 16, burnt alive at home in a sectarian arson attack. 1993 – Sean Fox, 72, club President tortured and shot at his home 200 yards from clubhouse by UVF. 1997 – Gerry Devlin, 36, senior team manager shot dead by LVF outside club gates. 2002 – Gerard Lawlor, 18, senior team midfielder shot dead in the last murder of ‘The Troubles’. 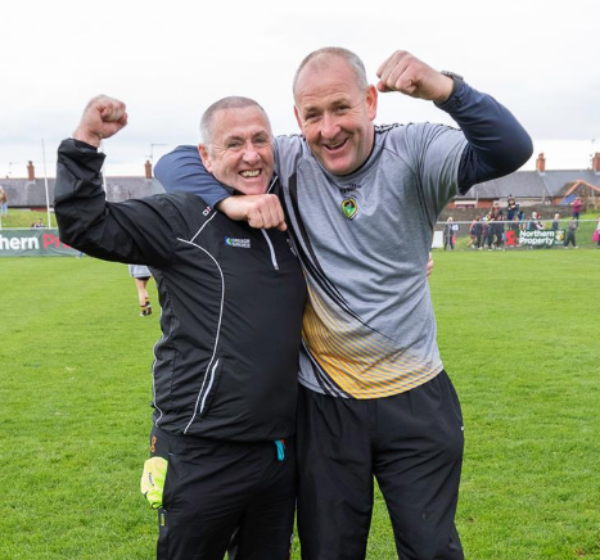 For the Glengormley men, an Ulster final is bonus territory, given that their goal at the start of 2018 was to survive their first Divison One campaign in 13 years. 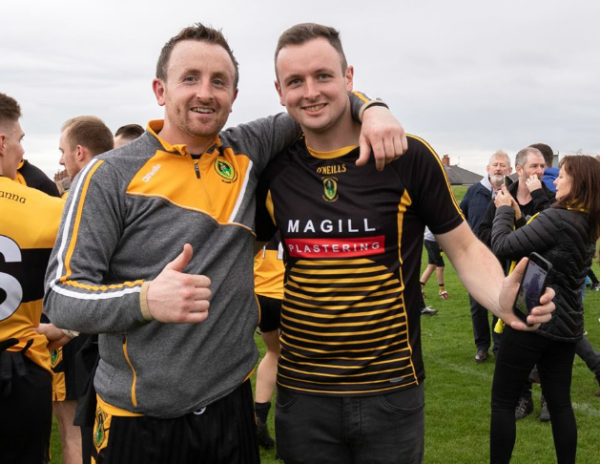 However, they secured their top-flight status with five games remaining and since then have gone on a tear right through Antrim and now sit one game away from bringing the Ulster championship back up the Hightown Road. Captain, James McAuley, highlighted just how good a time it is to be involved with Naomh Éanna, Glengormley. “It’s an exciting time to be involved. It sort of goes back to the middle of August. We haven’t been beaten since then, it’s a good run to be on.” McAuley told Pundit Arena. “At the start of the year, our first goal was to stay in Division One, to stay up. 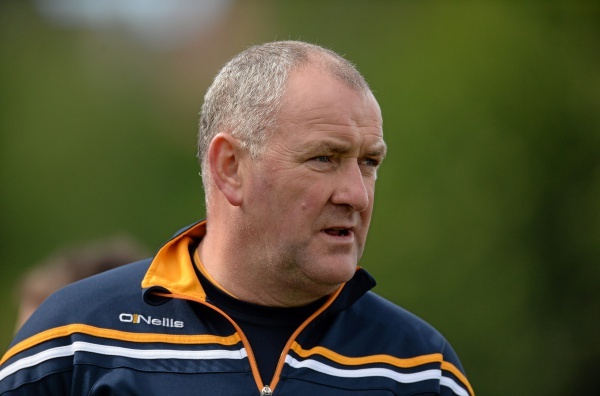 McAuley believes this side haven’t yet reached the heights they are capable of, for him, not once this year have they performed to the peak of their powers, which is a testament to the players and ex-Antrim manager, Frank Fitzsimmons, who is at the helm this season. “Frank came in at the start of the year with Pat Hughes and Thomas McNulty. Frank is experienced and has been there and done everything. “He’s brought a different dimension to our play. At the start of the year, we were focused on staying in Division One, then build towards Antrim Championship and now Ulster. Philly Curran – the teams oldest playing member – backs up his captain’s sentiments when talking about Frank Fitzsimmons. “The club has never won a senior championship in football, so to do it this year was unbelievable. The last time Naomh Éanna got promoted to Division One was 2002, the year Gerard Lawlor was murdered. In that particular season, the side struggled in the early stages of the league going the first five games without a win before their 18-year-old talisman was brutally gunned down. The team responded to his tragic death by going unbeaten the remainder of the year and winning the league title. The 34-year-old Curran grew up alongside Lawlor, and had it not been for his death the pair would probably be lining out at midfield together this weekend, just as they did one week before tragedy struck. “It’s pretty daunting, the week before Gerard was killed, we played Gort na Mona, he was playing midfield, and I’m pretty sure I was midfield with him. It’s scary to think of stuff like that in terms of the young lads now, there are guys on this team who were Gerard’s age when he died,” Curran said. “Gerard was a legend, what a footballer, a wonderful player. He was a character, a man mountain, strong as an Ox, in a small club which we were at that time, his death was such a massive loss to us. I’m sure he’s looking down on us on Saturday night. In spite of their tragic history, Naomh Éanna’s devoted club members worked tirelessly, not only to keep the club alive but to continue its growth. What used to be a small club known primarily as ‘the most attacked sports club in Ireland’ is now the biggest club in North Belfast boasting the largest membership in Antrim. “There’s so many good families, the Devlin’s, the Curran’s, families that just kept the club going and now it’s the biggest membership club in Ulster, we’ve come from literally being a small club, where at one point, the only thing we were famous for was being ‘the most attacked sports club in Ireland’. For most of this team, it really is a world apart from the troubles of the past. The average age of the side is 23, so most of the players wouldn’t remember the tragedy that has befallen the club in years gone by. For the 22-year-old captain, McAuley, despite the profile of the team being so young, they are very much aware of the club’s history and what a win on Saturday will do for those members who have lived through those troubled times. 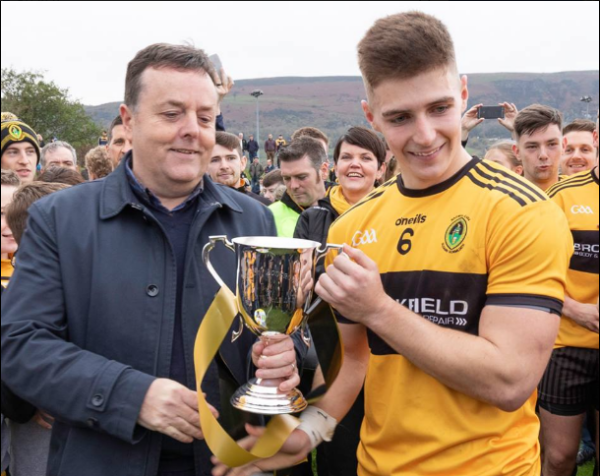 “Naomh Éanna has a very troubled past, even though the age profile of the team is quite young, it is something the players are very much aware of,” McAuley said. “Every time we go out we play for the jersey and for those members who are no longer with us. We like to think we know what it was like to live through those days but we don’t. In a time where a grey cloud hangs over Antrim GAA, Naomh Éanna’s story is one to saviour.